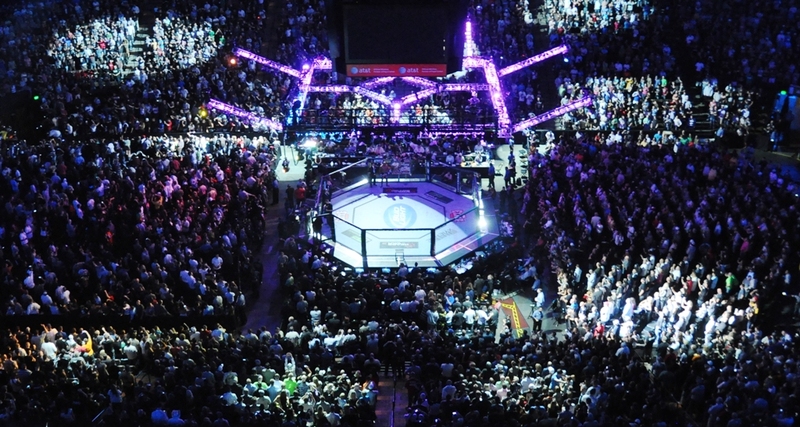 For the 28th installment of the core edition of The Ultimate Fighter, the UFC is going big — literally. The organization has opted to focus on the men’s heavyweight and the women’s featherweight divisions in the hopes of providing an influx of new talent to the heaviest division for each gender. 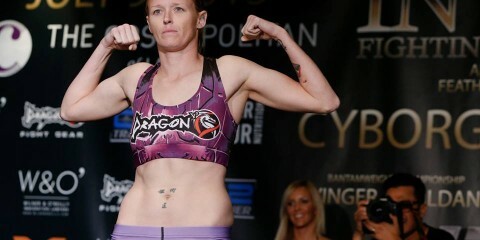 Two former TUF winners will coach the Heavy Hitters this season. 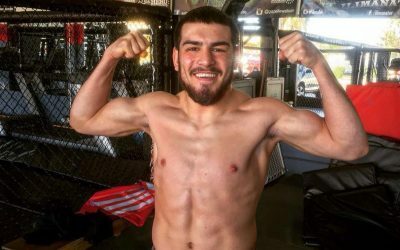 The Ultimate Fighter: The Smashes champ and reigning UFC middleweight titleholder Robert Whittaker squares off against TUF 17 winner Kelvin Gastelum, and the coaches will meet following the season to vie for Whittaker’s strap. In the meantime, fans can enjoy all of the reality-show antics, drama and fight action on Fox Sports 1. The season debut airs on Aug. 29, and it all leads up to the live finale event on Nov. 30. 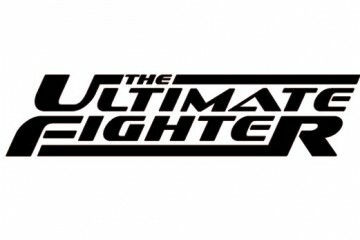 Let’s look at the cast for this season of The Ultimate Fighter. We started with the featherweight ladies, so now we’ll move on to the heavyweight men. The number preceding the fighter’s name represents Combat Press’s seeding of the athletes heading into the season. Batista may be the least experienced mixed martial artist out of the six male competitors on the show, but he takes the top spot in the pre-show power rankings. 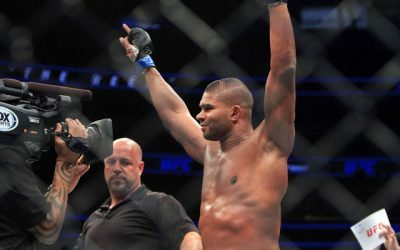 The 34-year-old Cuban benefits from not having the strongest cast around him, but he’s certainly an intriguing fighter who possesses the skills to be in the UFC heavyweight division. Batista’s most apparent asset is his wrestling background. He is an Olympian who finished fourth in the 96-kilogram class in the 2008 Beijing games. 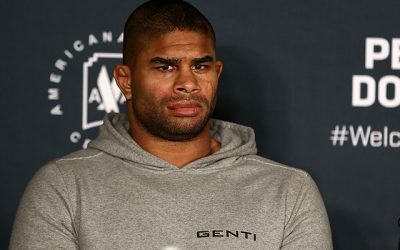 Interestingly enough, he was supposed to compete with Daniel Cormier in that Olympiad, but Cormier dropped out of the bout due to health complications from cutting weight. In MMA, Batista has taken just four bouts, but has been dominant in those fights. His biggest win came over Brazilian Edilson Lopes under the Titan FC banner. He has two wins by knockout, with the other two coming by way of decision. Wrestling is arguably the most important skill in MMA nowadays, which gives Batista a huge leg up. This is especially the case in this tournament, where a lot of the fighters are primarily strikers. Batista has to close the distance, shoot and stay heavy on top. If he does all of this, then it will take him far in the competition. Greene, who stands 6-foot-7, checks in as the tallest fighter in the competition. 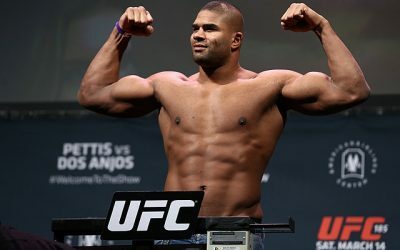 His size and brute physical strength makes him a dangerous opponent for anybody who stands toe-to-toe with him in the TUF Octagon. Greene’s background comes in kickboxing. He has 4-4 record as a pro kickboxer, but he now spends his time focusing on MMA, where he possesses a 5-2 mark. Despite his subpar kickboxing resume, he will have better striking than most men on the TUF roster. He also has three wins by submission in MMA, so he may be underrated in the grappling aspect of the game. Greene’s only losses came to big-show veterans, including current UFC roster member Jeff Hughes. His biggest win came against Bellator vet Kevin Asplund, whom Greene choked out in under two minutes. The cast is pretty shallow in terms of talent, but Greene certainly has the skills to be a top threat on the show. If he fights long and keeps opponents at a distance, then he can soften them up before landing the deathblow. This will be Greene’s key to success. Silva, who holds a top-10 position in heavyweight kickboxing, is the certified best striker out of the entire TUF cast. He is 43-17-1 as a pro kickboxer and has been trained by guys like Peter Aerts and Pedro Rizzo. In kickboxing, he’s even earned a win over the aforementioned Greene — Greene does have a better ground game than Silva, though, thus allowing him to secure a higher ranking here. In terms of Silva’s MMA career, he’s just 3-1 and does not have a proven track record. However, he has been working with Team Nogueira to tighten up his deficiencies on the mat. If Silva is picked to be a member of Gastelum’s team, the work on the mat with the upcoming title challenger would greatly benefit him. Silva’s power is a big key to determining how far he’ll progress in this tournament. All he needs to do is land cleanly once and he can end anybody’s night. Silva, like Greene, will need to land from a distance. Kickboxers have a place in MMA, but they have a lot of catching up to do in the wrestling and jiu-jitsu departments. Silva is no different, but he’s definitely a guy to watch. If Parisian’s name sounds familiar, that’s because it should. 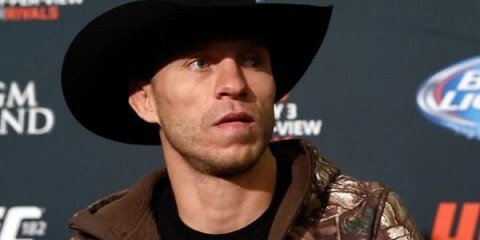 He was the last addition to this TUF cast after being an alternate. 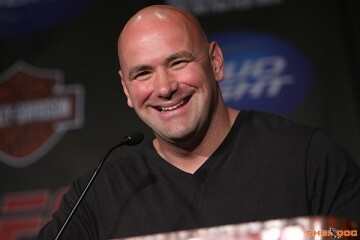 However, his alternate status was upgraded to cast member after a very late-notice win on Dana White’s Tuesday Night Contender Series, where he blasted through Greg Rebello with an impressive spinning backfist for the knockout. Parisian will be one of the heaviest members of the cast. In fact, he cuts down to make the 265-pound heavyweight limit. Parisian trains at an underrated Scorpion Fighting Systems camp, which has quickly helped him develop. Parisian is primarily a striker. He has underrated athleticism, especially for someone of his size. 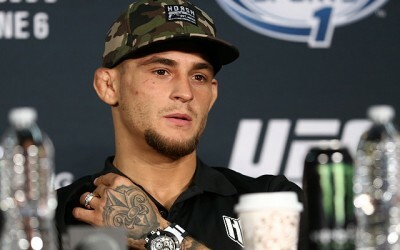 He throws a lot of fancy stuff, which could get him in trouble, especially against guys like Silva and Greene. However, he lands with big power, which helps him end fights quickly. In fact, most of his wins have come by knockout. Parisian was an underdog in his bout with Rebello on the Contender Series, and he will likely be an underdog in this tournament. However, he’s proven he can fight through adversity before, and he could do it again. As the oldest cast member on the men’s side, Diepa could be looking at his only shot to make it in the UFC. However, that also lends to his status as a dark horse in the competition. Diepa splits time between different gyms, but he does run with American Top Team from time to time. What is interesting, though, is that he spends most of his time in the Canary Islands, which isn’t exactly known for its MMA. Diepa has a background in Brazilian Jiu-Jitsu. He is extremely dangerous on the mat, where he has secured submissions in a majority of his victories. His only loss came to top heavyweight Vitaly Minakov, but their encounter took place in 2011. 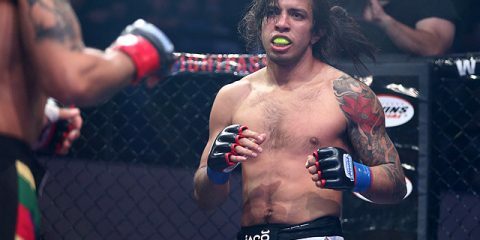 Diepa’s biggest win came over UFC vet Rodney Wallace, but he has otherwise not fought opponents of top quality. Despite his low seeding, Diepa could be a tough match-up for top guys like Greene and Silva. He may give up striking skills to them, but he could finish them quickly if he gets the fight to the ground even just once. The UFC has attempted to get Mysiala on the roster before, but contractual obligations forbade him from signing. Now, his contract is now up. Mysiala finally gets an opportunity to prove himself in the toughest tournament in the sport. Mysiala has the benefit of the most MMA experience among the fighters in this tournament. 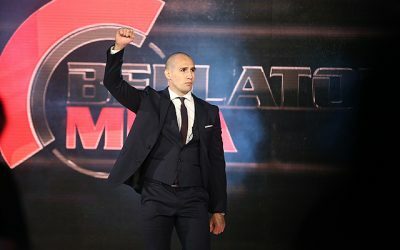 The 35-year-old not only has 30 pro MMA bouts to his name, but he has experience on the big stage for promotions like Bellator MMA, BAMMA and Absolute Championship Berkut. The Polish fighter has a Brazilian Jiu-Jitsu background, which is why most of his wins have come by submission or ground-and-pound. However, he would benefit from landing on Robert Whittaker’s team, where his striking could receive a lot more work. Mysiala is best remembered for getting murked by Muhammed “King Mo” Lawal. It was as vicious a knockout as you’ll ever see. Despite his skills and experience, Mysiala receives a very low seeding. This is because there aren’t many good match-ups for him. The strikers (Silva, Greene, Parisian) could powder him easily on the feet. Meanwhile, the grapplers (Batista, Espino) above him have better credentials. Mysiala is a longshot. Many of the fighters on this list come from some sort of martial-arts background. Not Frazier. He comes from the realm of college football. Frazier is a finisher who looks to end fights early. 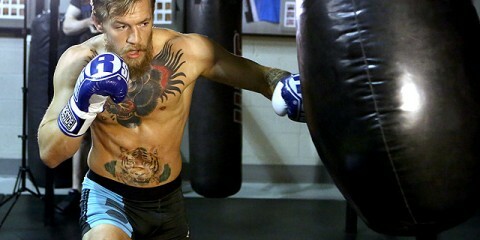 All of his wins have come by way of knockout or submission, though his striking is his best weapon. He’s a solid athlete and moves well for his size, especially since he cuts a little bit to make weight. Frazier does have a good amount of experience in Bellator. 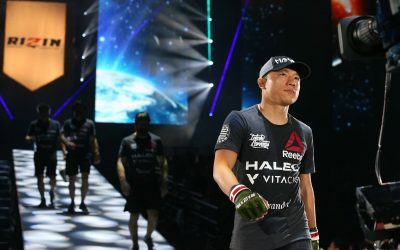 However, the only two times he really stepped up in competition, he was finished by UFC veterans Derrick Lewis and Mike Wessel. Frazier has a lot to prove against guys who have shown more success at a higher level. Frazier will be shorter than most of the other cast members. He gives up skill in various aspects of MMA, too. Frazier will have to rely on toughness and power to get by his castmates. He’s a longshot, but this type of format could benefit him based on the length of his past fights. Rest is important, so early finishes are vital for Frazier. Australia’s Ben Sosoli is the final member of the heavyweight cast. He was trained by Olympian and UFC veteran Dan Kelly. Sosoli is improving every time we see him. Sosoli has a judo base, much like his coach. In addition, he has pro boxing experience, though his record is just 3-3. Sosoli is a southpaw, which could present some advantages to him. However, guys like the aforementioned Greene and Silva have experience in kickboxing that will probably negate any possible edge for Sosoli on the feet. The concern with Sosoli is that his two losses have come to no-name fighters, while his wins have come against subpar talent. This is why he lands at the bottom of this list. He is the ultimate longshot in this competition. Sosoli could surprise some, but he’s got a lot to prove overall.